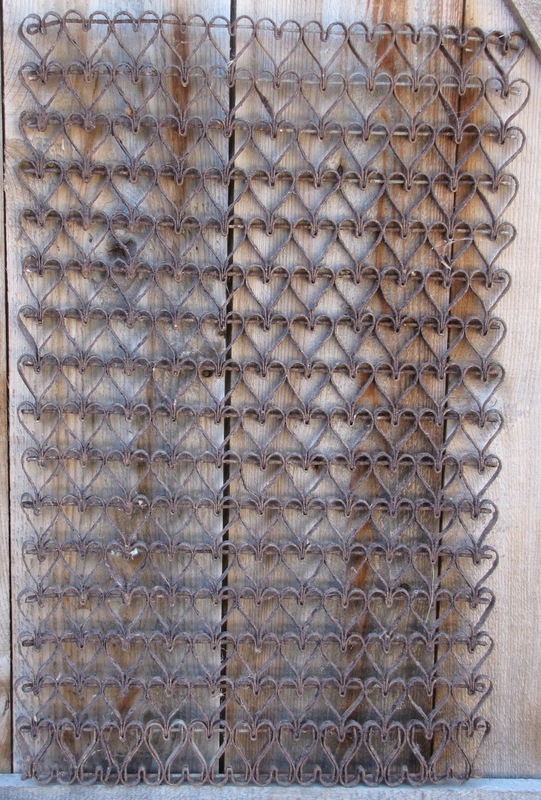 A door entryway mat in metal with heart forms. 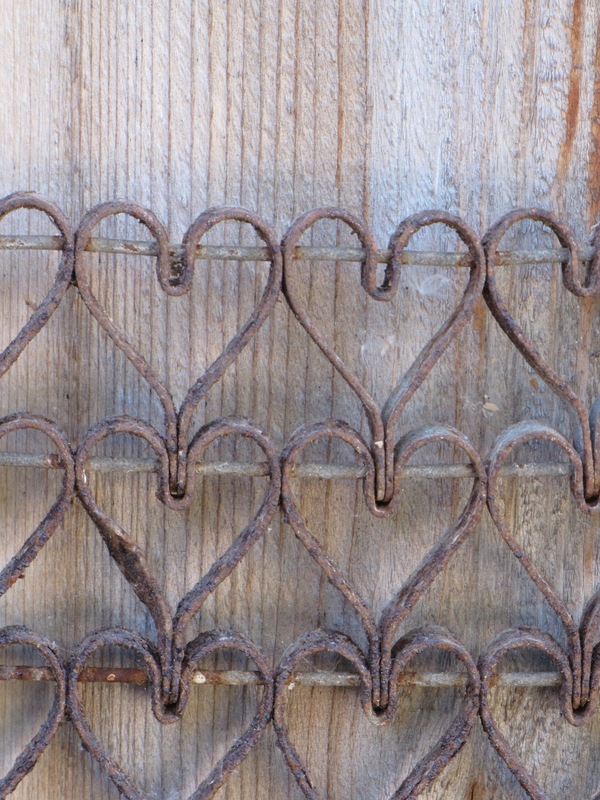 These type of mats are made in many patterns but the heart format is the most desirable. In good condition - with the expected crusty surface. Overall size 15 1/2" by 24 1/2". Circa early to mid 1900s'.